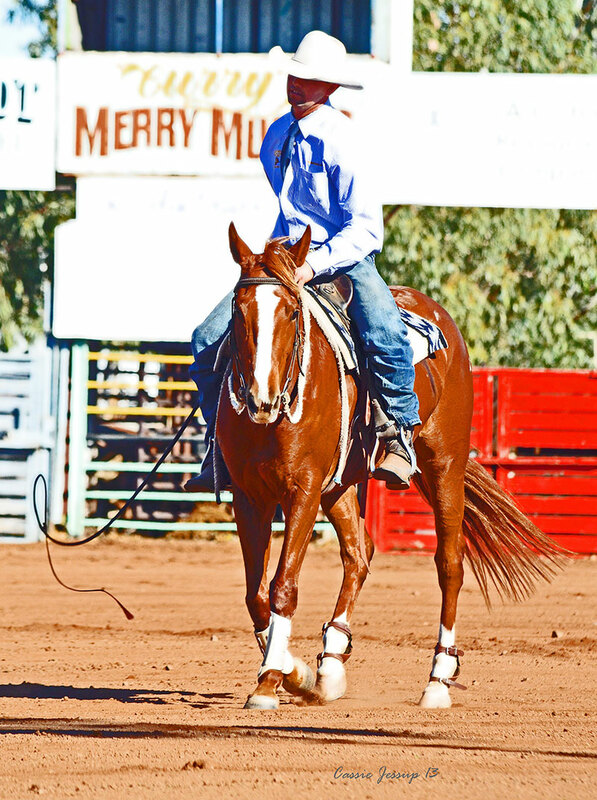 Not Just "One Moore" Quarterhorse! Photo by Jess Doherty. 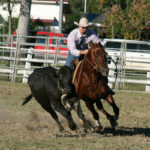 One Moore Daddy & Mac Shann, Warwick 2010. 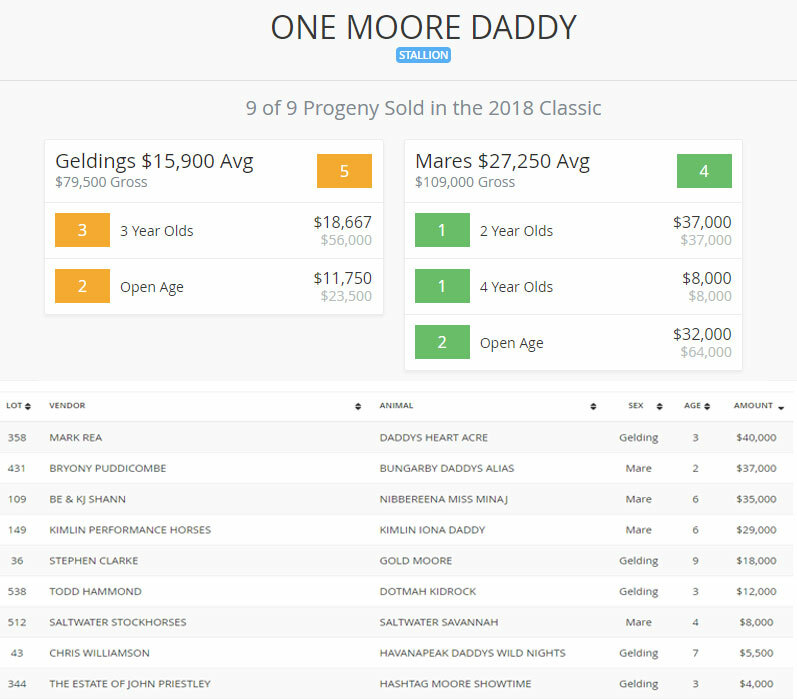 One Moore Daddy is an exceptional individual with all the physical attributes required for the athleticism our industry needs. 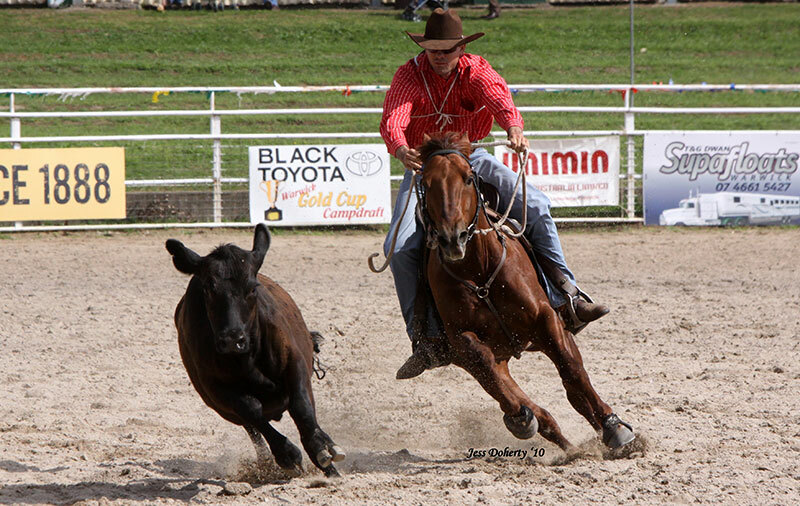 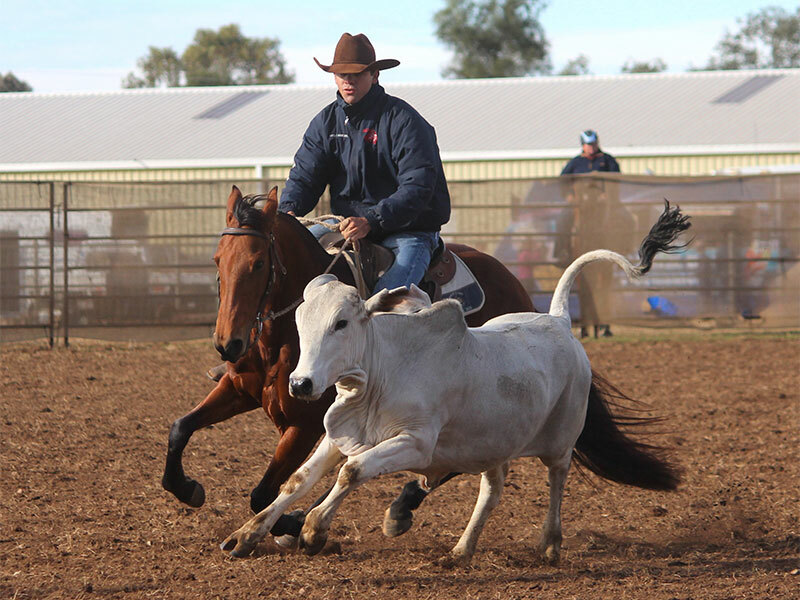 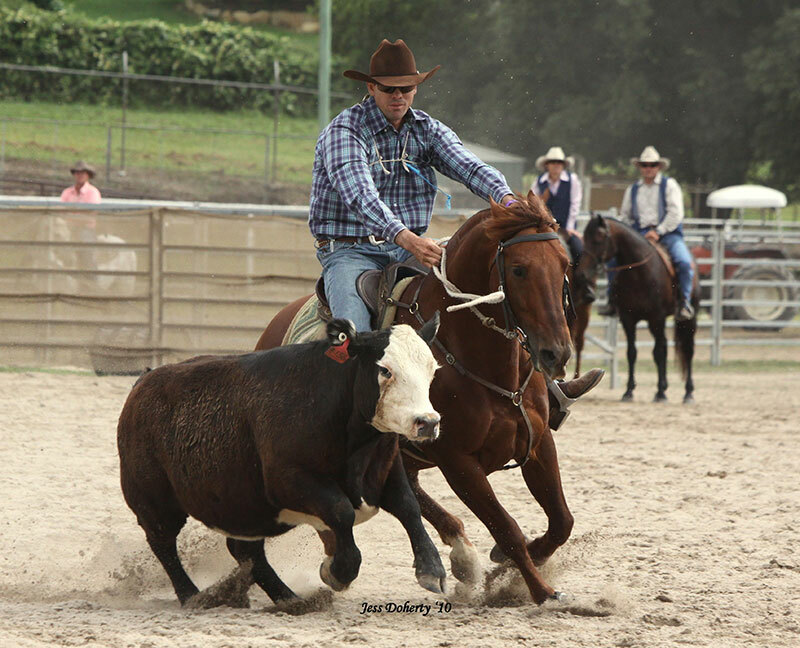 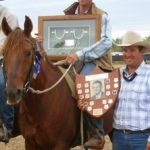 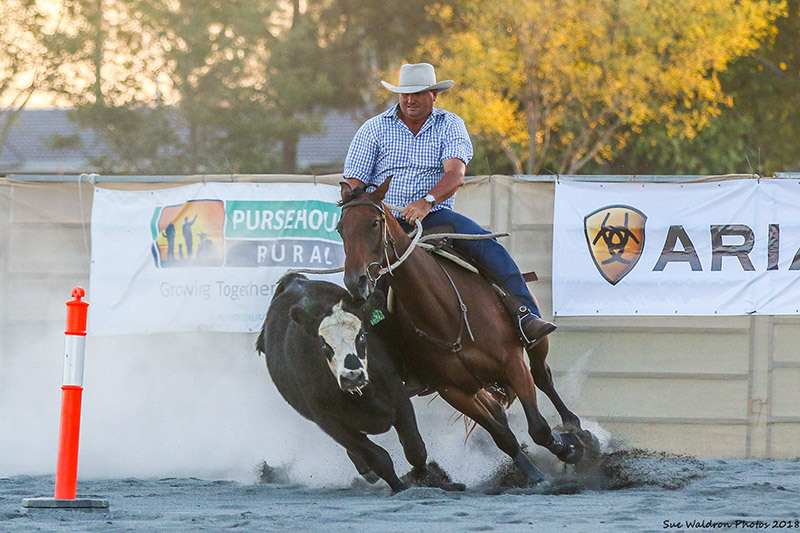 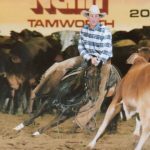 He has competed and succeeded at the highest level in the campdraft, challenge and cutting arenas and his progeny are following suit. 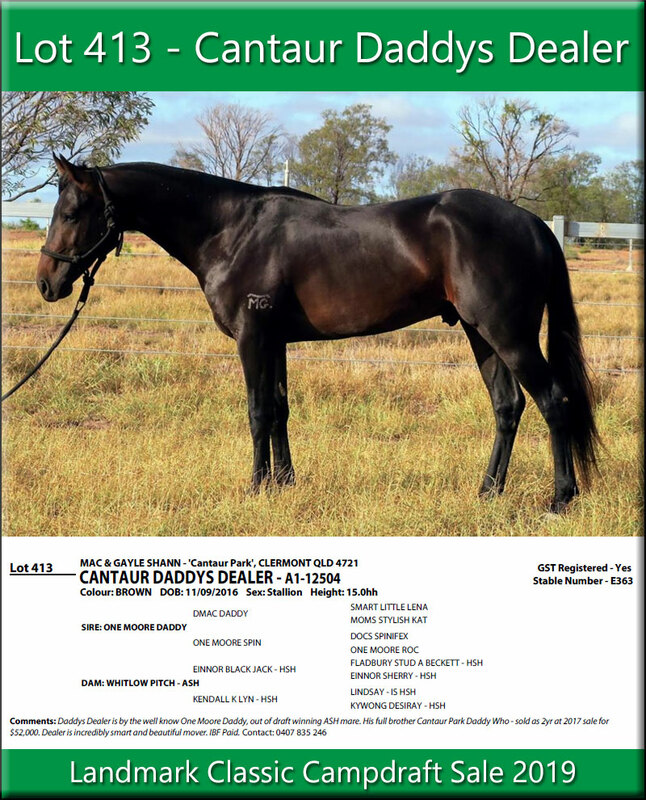 His future is assured as an impact sire. 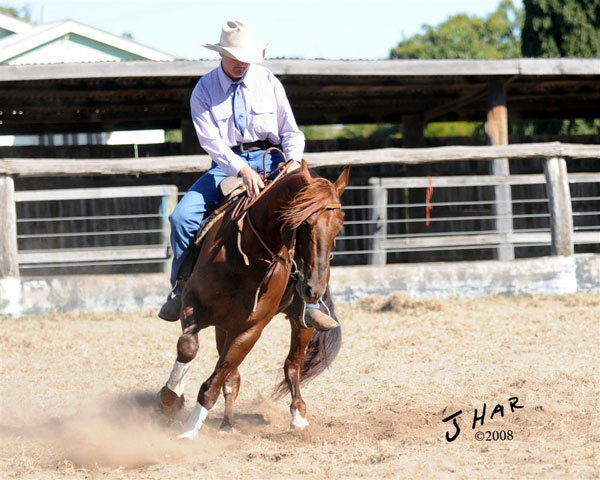 Mac and Gayle Shann began their amazing story with One Moore Daddy quite by accident. 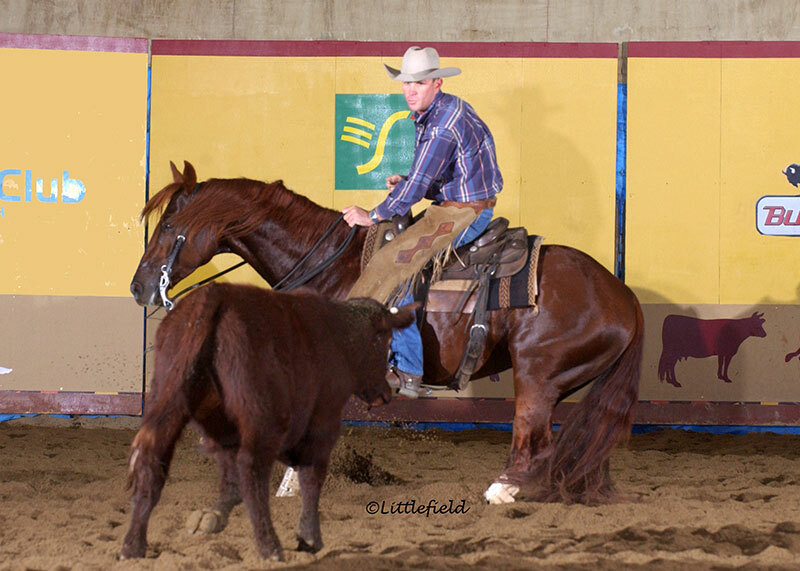 While visiting Todd & Kylie Graham, they were casually inspecting the freshly broken crop of 2 year olds. 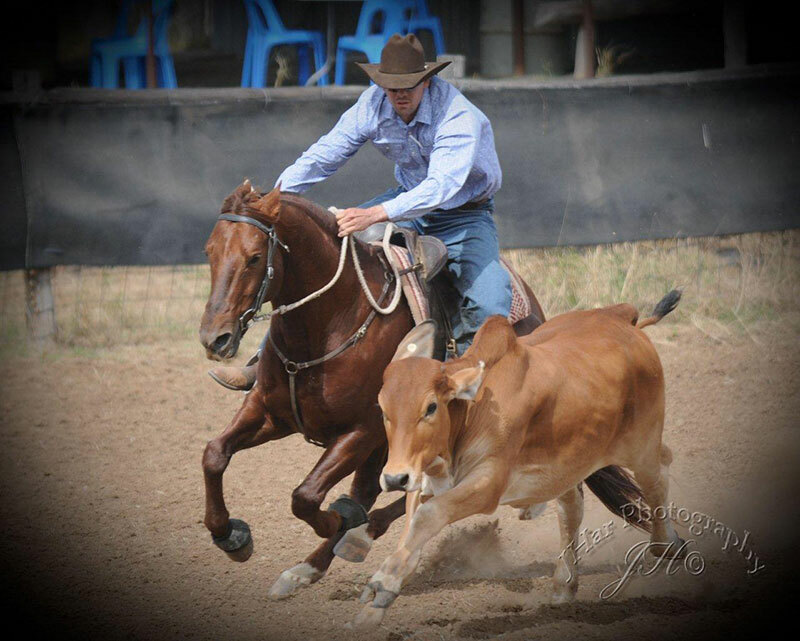 One Moore Daddy was a standout in their opinion. 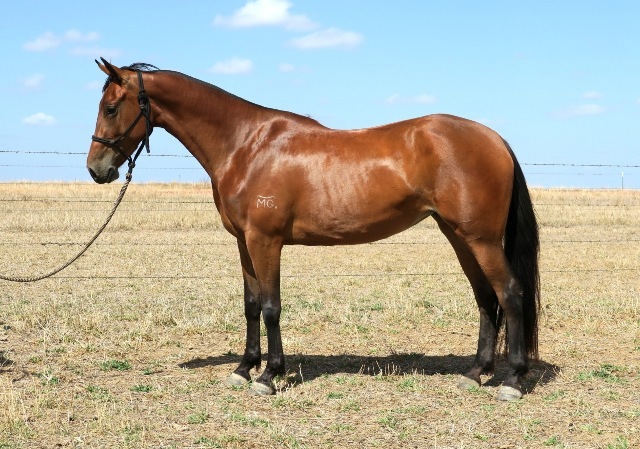 Although they weren’t looking for a horse, let alone a colt, they found his conformation, breeding and appeal for a future as a campdrafter irresistible. 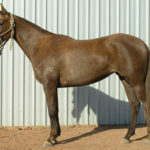 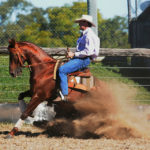 He had been bred by Trevor and Marilyn Graham and was from arguably the greatest mare of the modern era, One Moore Spin. 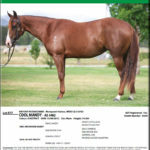 Mac and Gayle weren’t familiar with Dmac Daddy at the time, but they were aware that he was the leading Smart Little Lena colt in Australia. 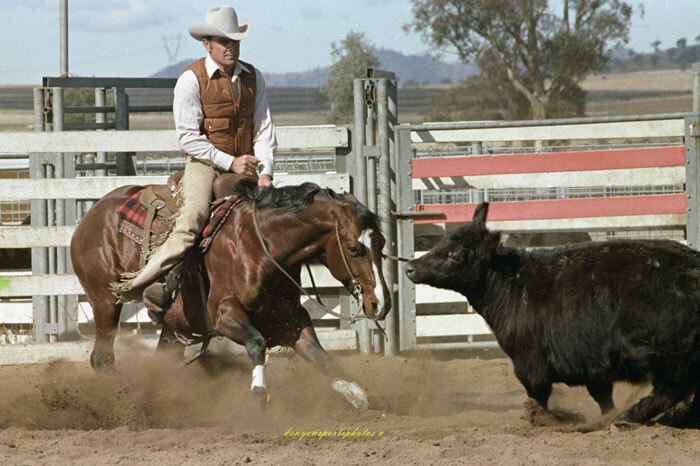 They also trusted Trevor and Marilyn’s judgment in breeding their great mare to this imported son of America’s leading cutting sire. 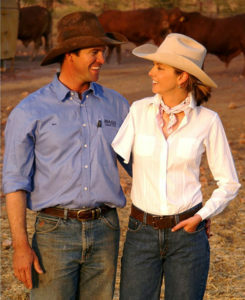 After asking the question of the colt’s availability, they learnt the Graham family would sell him and an elated Mac and Gayle couldn’t resist the offer. 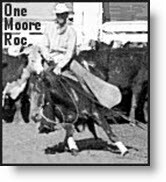 They trusted their judgment and predicted that One Moore Daddy’s athletic build and elevated action would suit a range of disciplines. 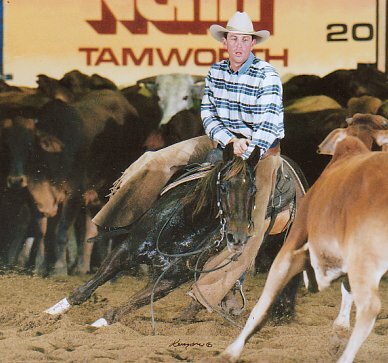 One Moore Daddy was left with Todd Graham to continue his cutting training. 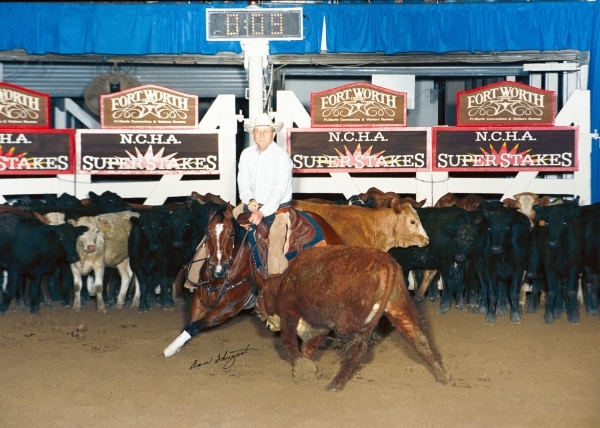 In his Futurity year of 2007 he finalled in ALL 3 Futurities, rewarding him with a very solid reputation in the cutting pen and the grounding to continue on his winning way in other fields. 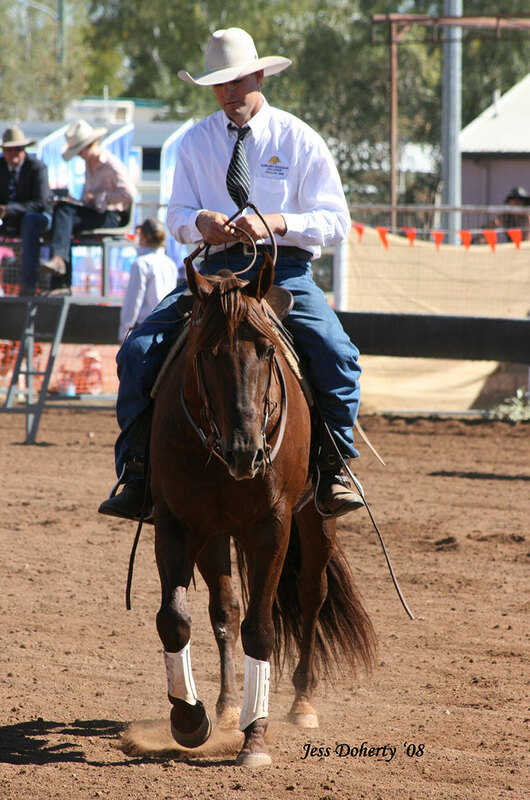 After completing his cutting career he changed stables and Cameron Parker prepared him for a season of challenges in 2008. 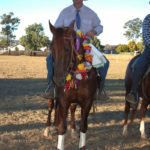 He excelled and became the only horse to win all 4 major challenges in a single season. 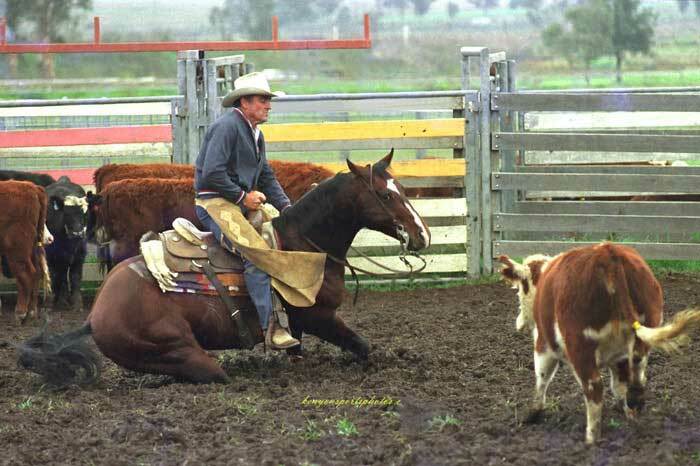 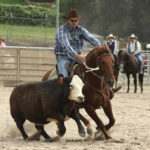 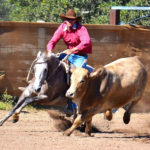 It was then home to Cantaur Park for a life of campdrafting with Mac taking over as his regular rider. 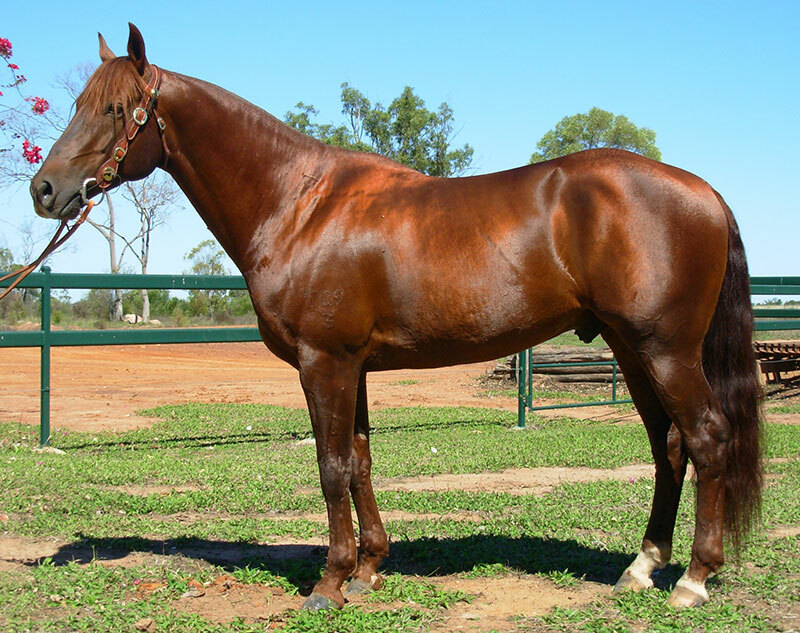 He wasn’t used as a sire extensively as a younger horse and his oldest progeny are just starting to come through. 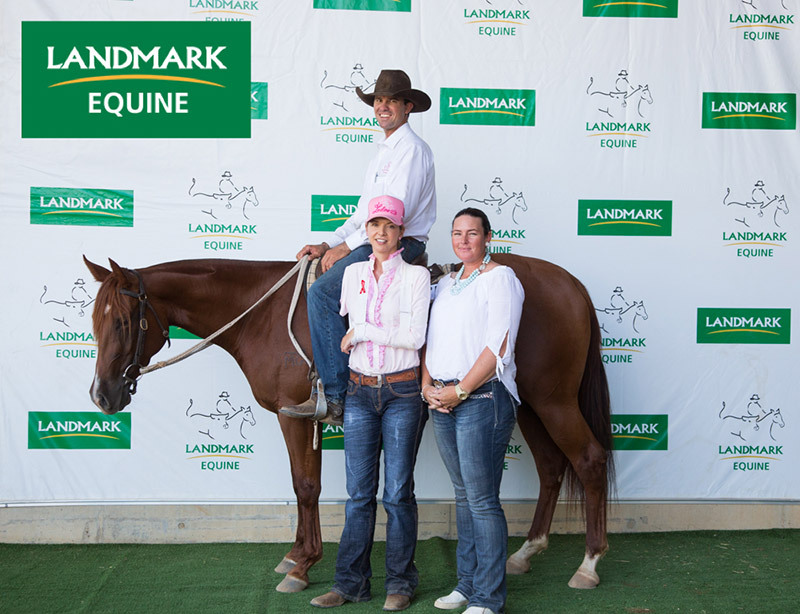 These are exciting times for Mac and Gayle as these youngsters are showing tremendous potential. 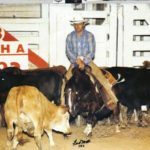 One Moore Daddy started drafting with big scores, places and round wins, showing his huge potential. 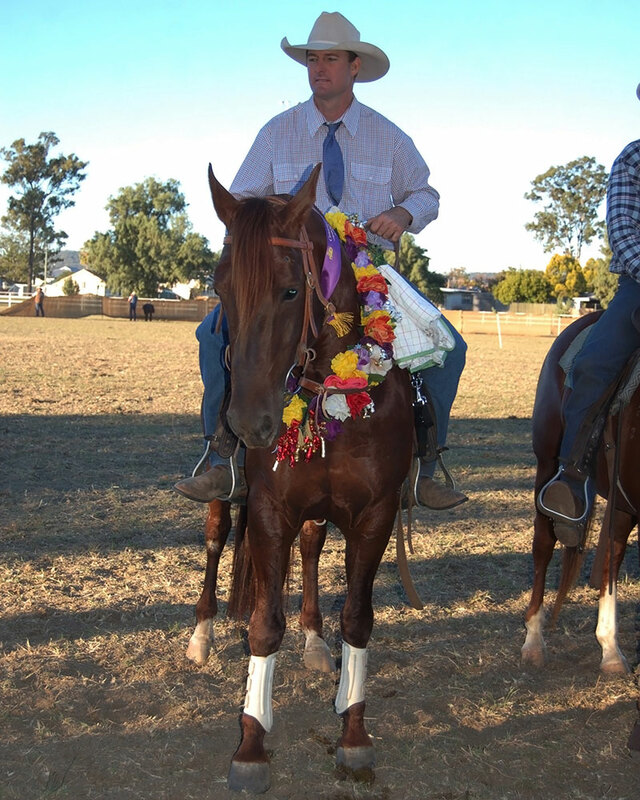 One Moore Daddy is the ONLY horse to ever win all 4 challenges in one season, EACH a convincing win. 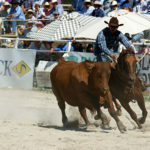 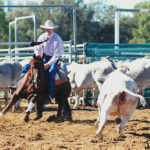 2007 Futurity season – He finalled in ALL 3. 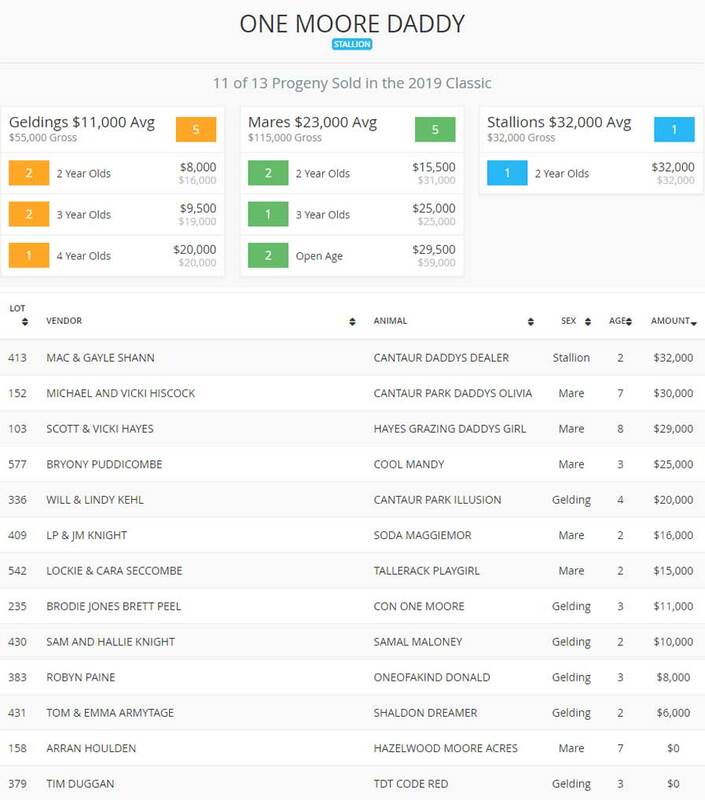 Finalled in Warwick Gold Cup (89, 89 & 72) – 2nd top score going into final. 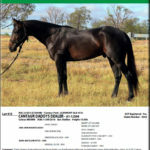 WINNER of Barnes Trophy – prestigious ASH award judged on type, ability and consistency across the week of drafting at Warwick. 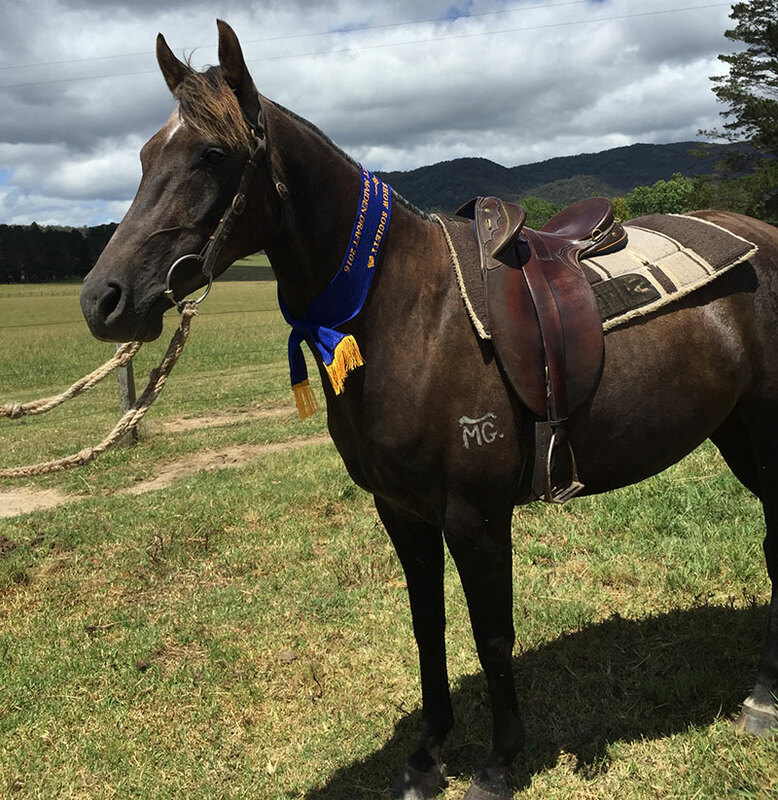 WINNER – Rocky Rush Rookie Challenge, with Jody Challacombe. 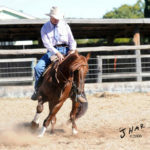 Vendor: RJ & WM Durkin. 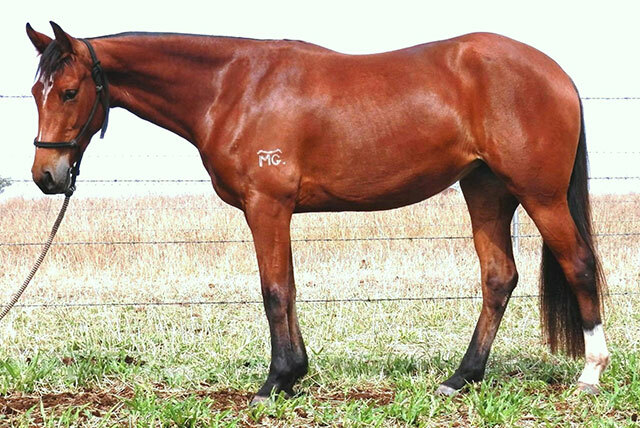 Full brother to Daddy’s Girl. 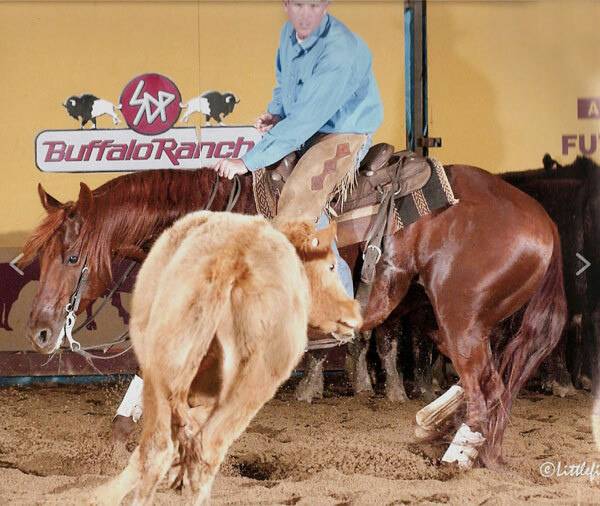 3rd in the Novice Draft on the same day. 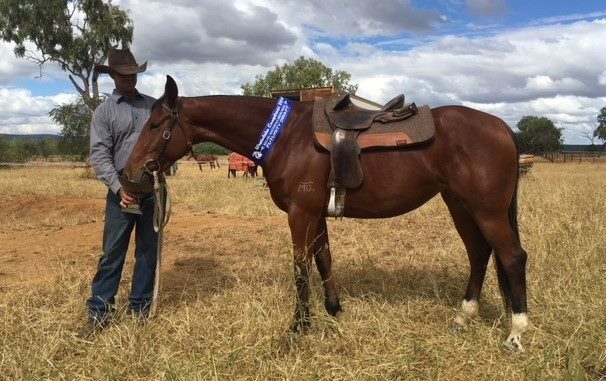 Leah Read winning the 2018 Monto Futurity with an 88 point run on the beautiful 'One Moore Daddy' mare 'DADDYS DEFINITION' owned by Simon & Rachel Fitzhenry!! 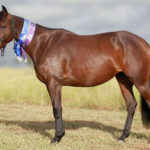 !CONGRATULATIONS to all involved! 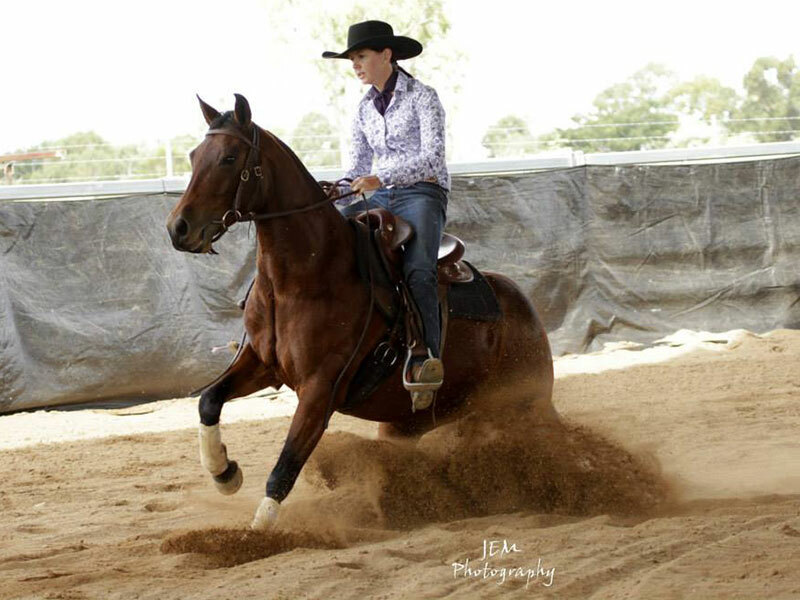 She's a special one! 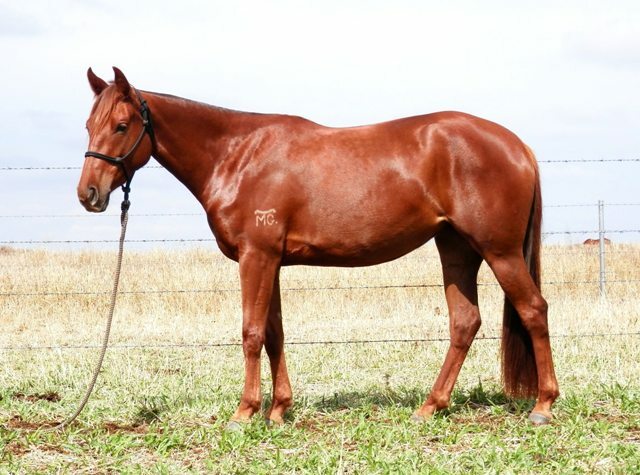 CANTAUR PARK MISS MOORE (E/T) – Lot 4753yr old filly – 15hh (A3 – 733)(One Moore Daddy x Miss Heart Acre – 8 times Open winner)Miss Moore is a beautiful filly with great confirmation and size. 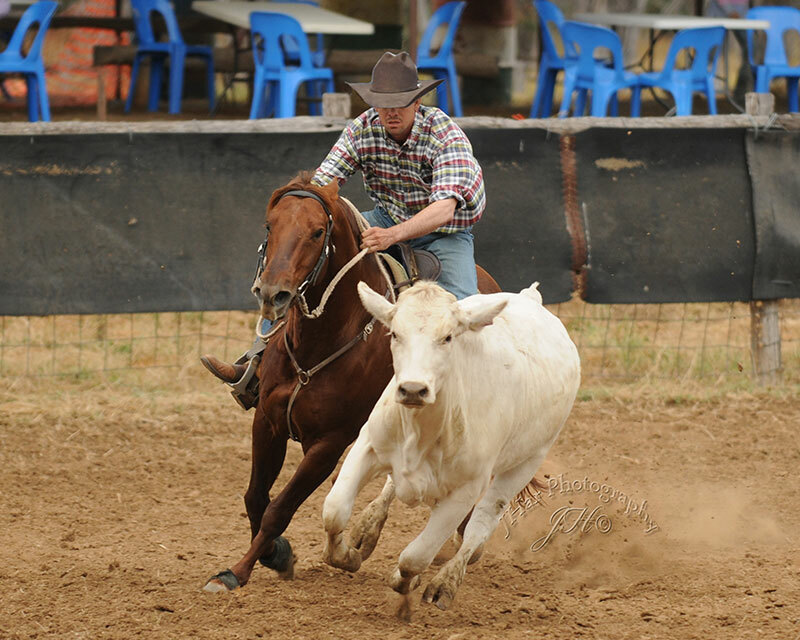 She is very cowy, has a tonne of ability and is a stunner. 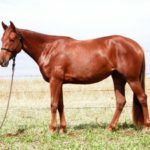 We are very proud to offer this filly.This mares dam – Miss Heart Acre has won 8 Open drafts to date. 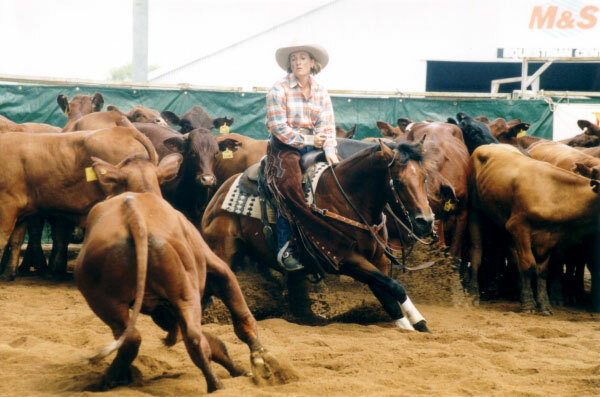 Her most recent wins for 2016 include the prestigious Clermont Gold Cup (89, 92 & 92), she ran off the Paradise Lagoons Acton Open last year and also won the 2016 Capella Open (269 pts). 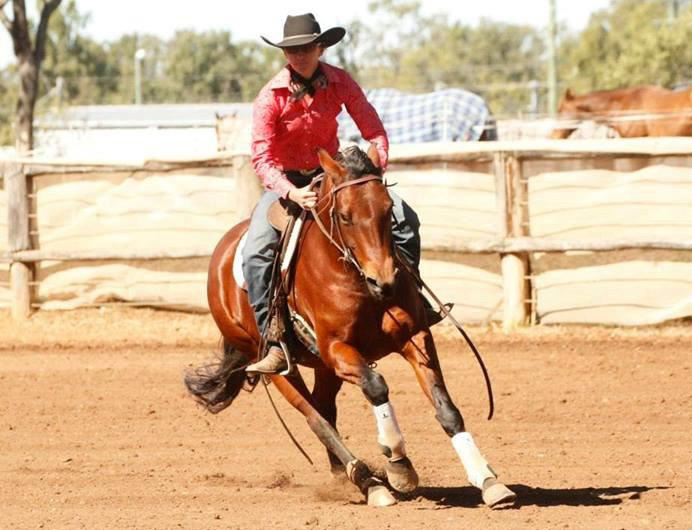 In previous years, she ran 2nd in Chinchilla Grandfather Clock and won the cut-out with a 24 the same year.In 2014 Miss Heart Acre had 5 runs at Springsure Draft to average 90.2 points. 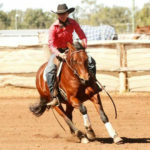 Mac continue's to have a lot of fun on her. 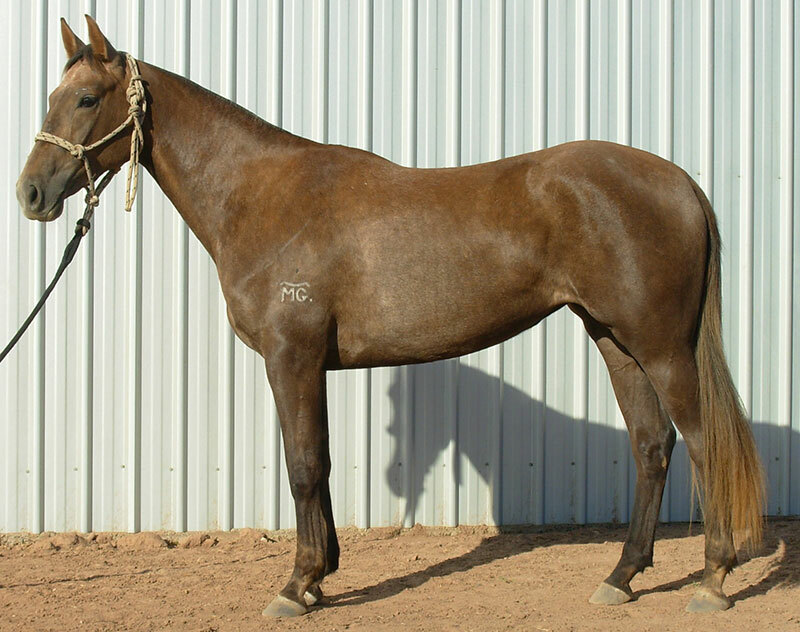 We have retained a full embryo sister, the same age as Miss Moore.High Def is a lot clearer if your device can handle it. 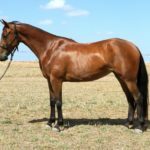 Soda Moritz – Now deceased. 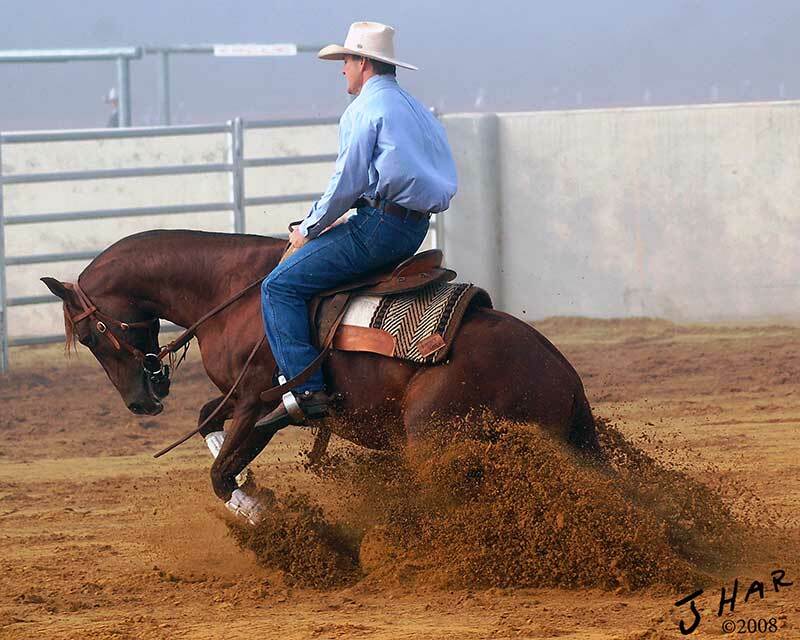 One Moore Daddy has a beautiful elevated action. 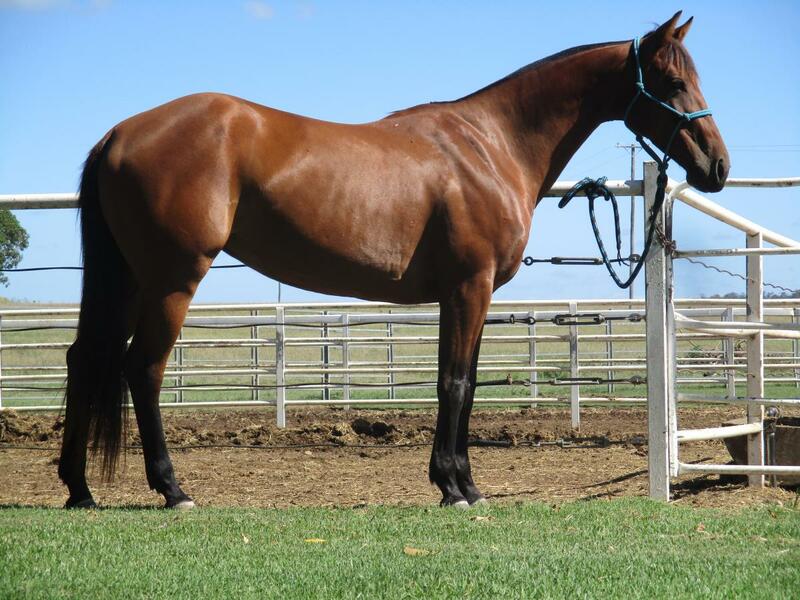 He is narrow through the chest, has a good wither and sloping shoulder. 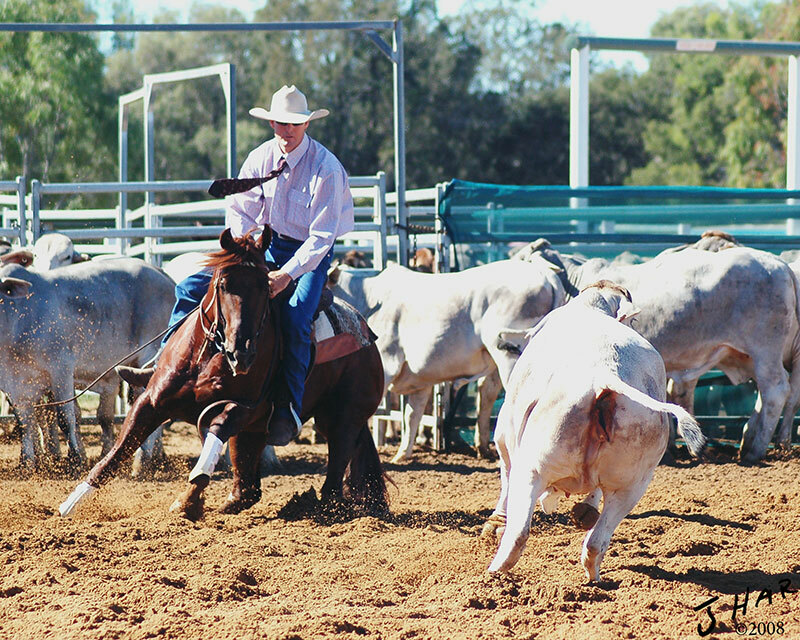 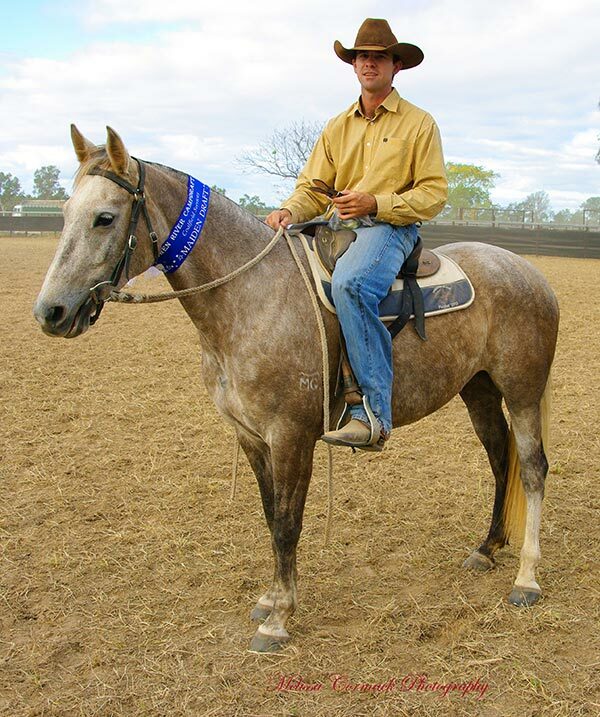 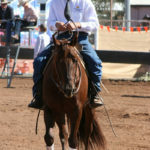 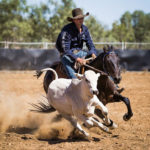 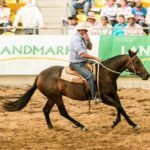 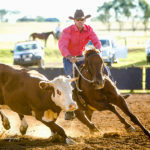 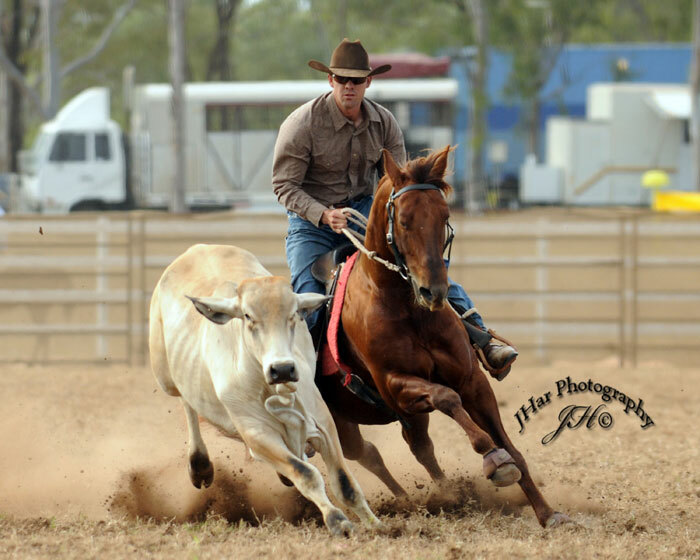 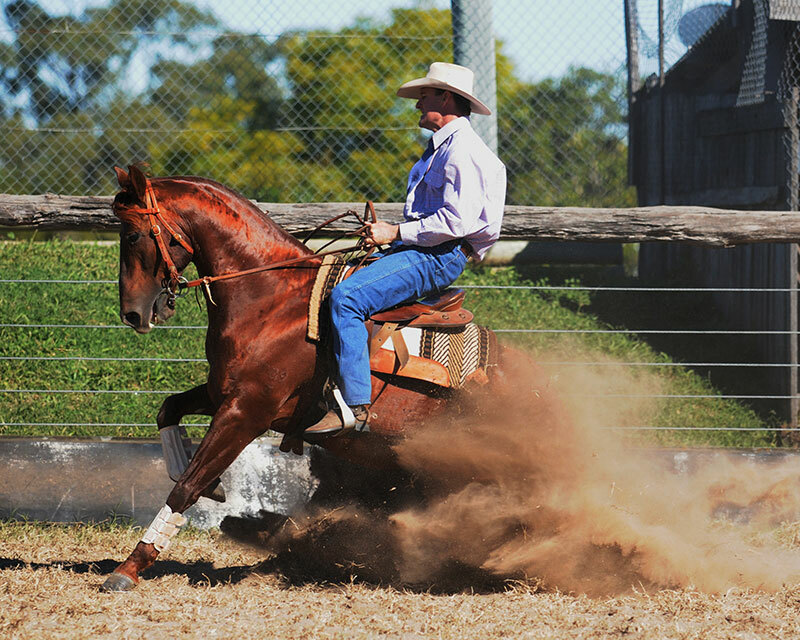 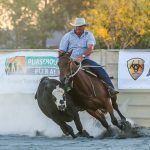 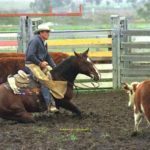 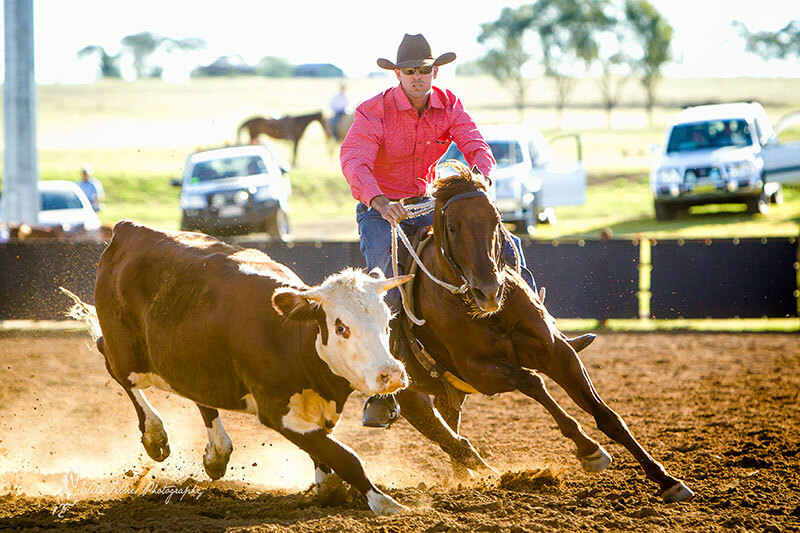 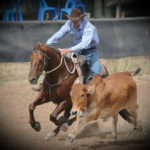 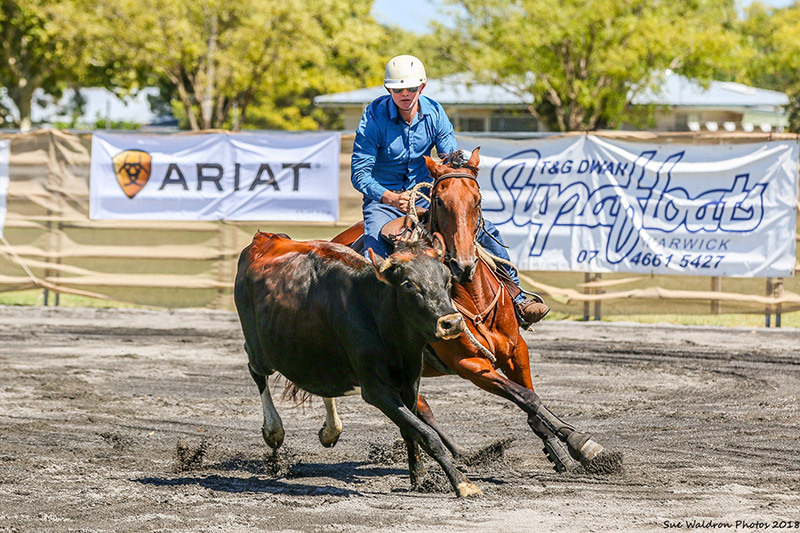 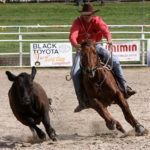 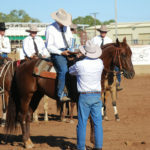 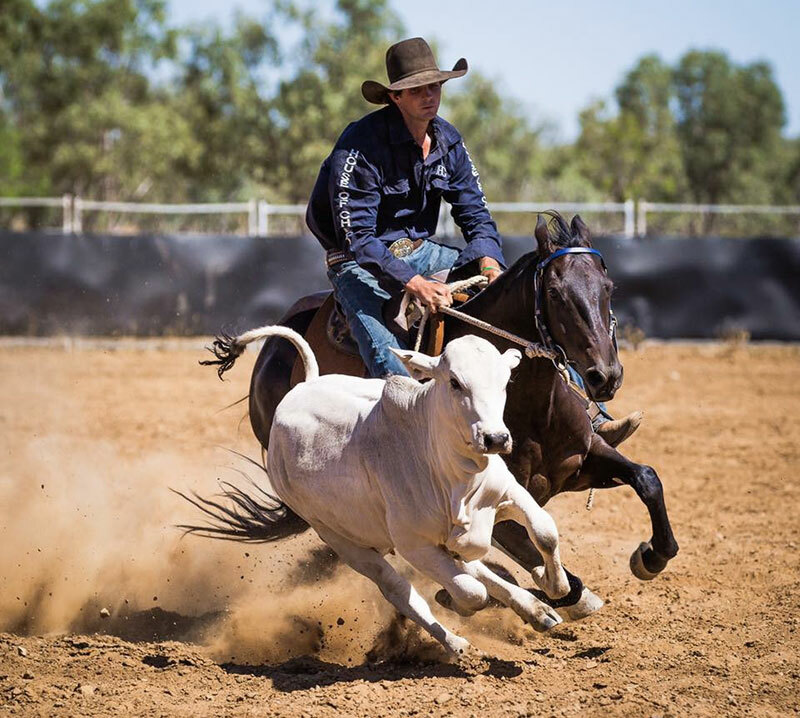 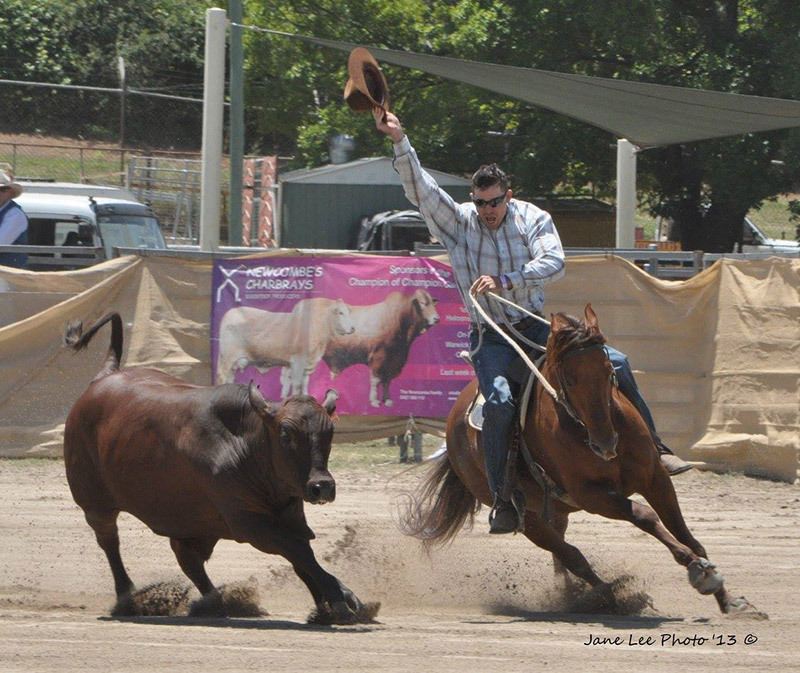 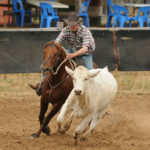 He is as smooth to ride as the best of the Australian Stockhorse breed and he has the exceptional temperament and trainability associated with the Quarter Horse. 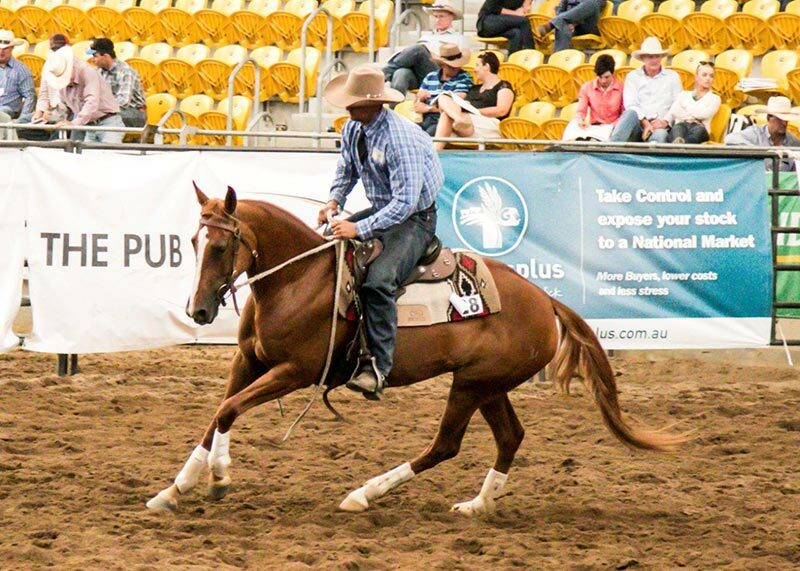 DMac Daddy is the highest earning son of Smart Little Lena in Australia, with current earning of approx $40,000. 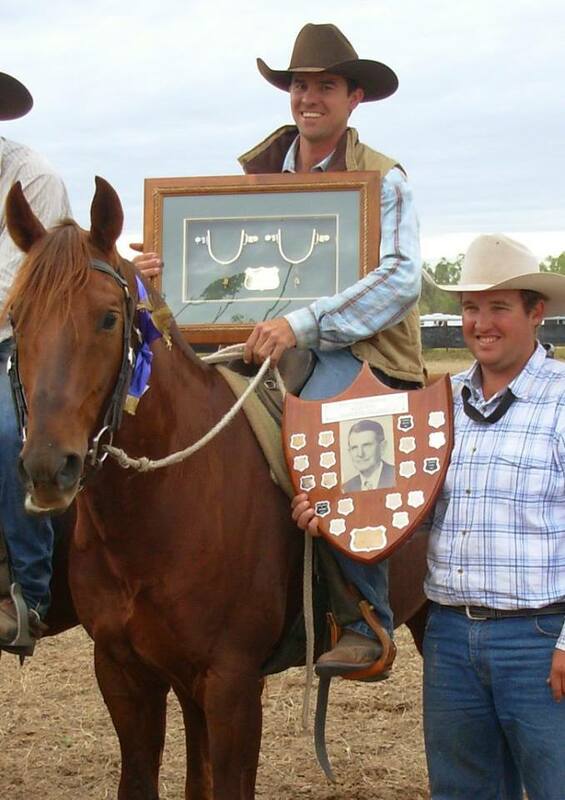 One Moore Spin is the 2nd “Highest Money Earning Cutting Horse” in Australian history. 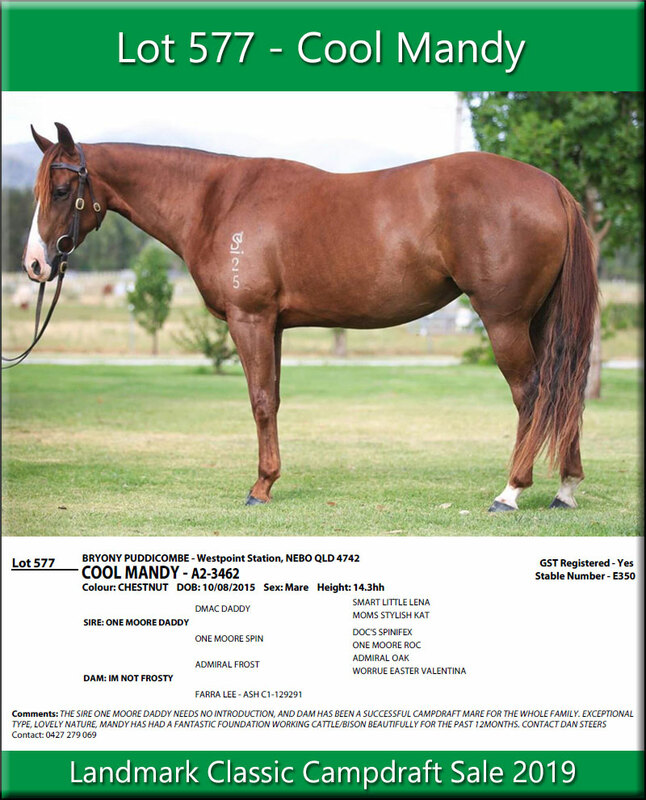 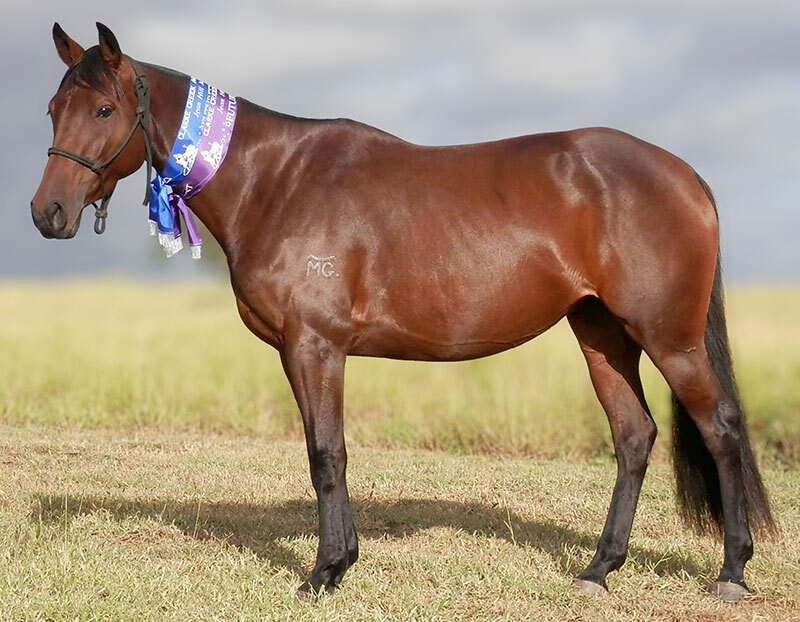 She has an exceptional track record as both a performance horse herself, and also as a broodmare, producing outstanding progeny who have broken records in the sale ring thus earning her the title of Australia’s highest progeny earning mare of all time. 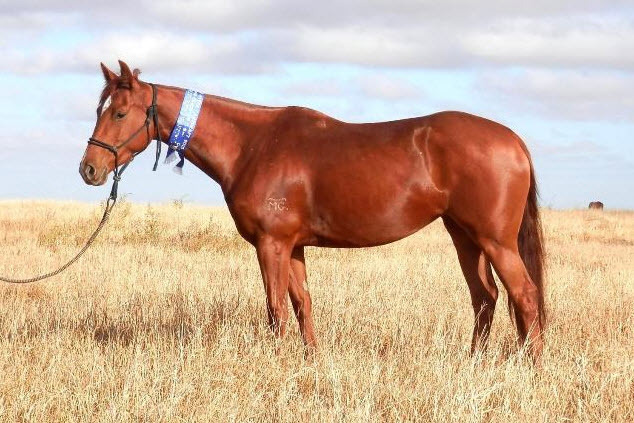 Her achievements as a dam have not been surpassed by any other mare in Australia. 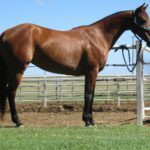 The All-Time leading money earning cutting stallion: LTE $743,275; The All-Time leading living sire of producing daughters. 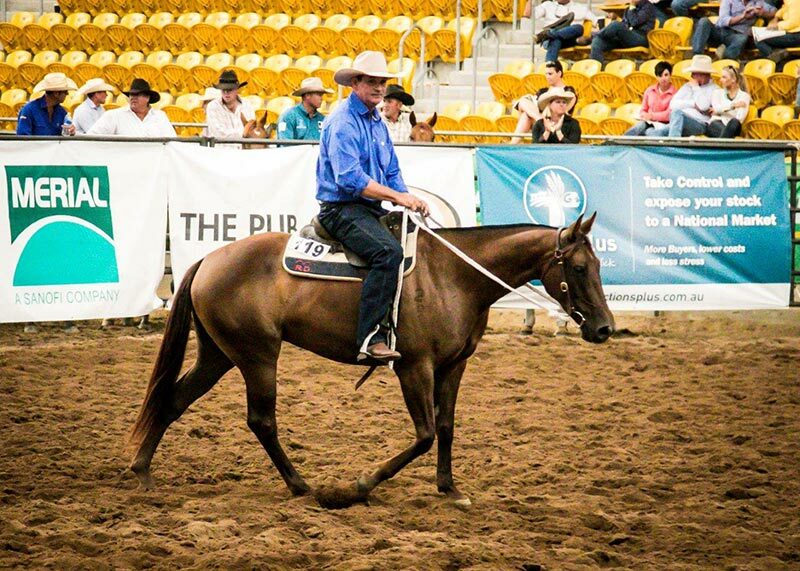 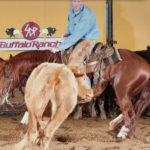 His daughters are producers of offspring earning $34.6 Million; Sire of Red White and Boon, the All-time highest money earning cutting horse: LTE $922,063; Leading Sire of NCHA Money Earners. 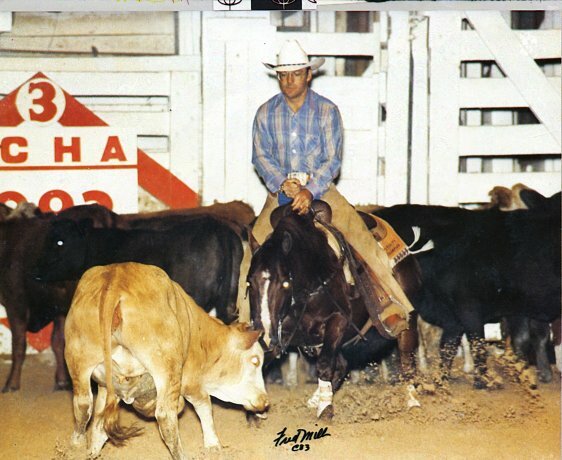 >$36.8Million; 2008 NCHA Hall of Fame Inductee; NCHA Triple Crown Winner. 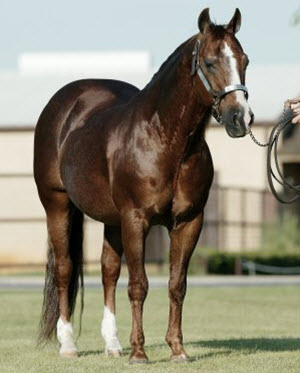 Mom’s Stylish Kat ($85,985) #3 Highest Money Earning mare in 1998. 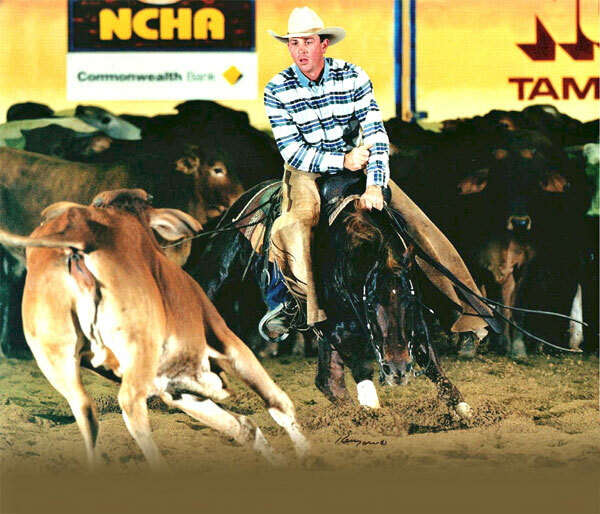 NCHA Super Stakes Open Classic Reserve Champion; Abilene Spectacular 5/6 Year Old Open Reserve Champion; Finalist in the NCHA Open Derby; Augusta Non-Pro Classic, Bonanza 5/6 yo Open. 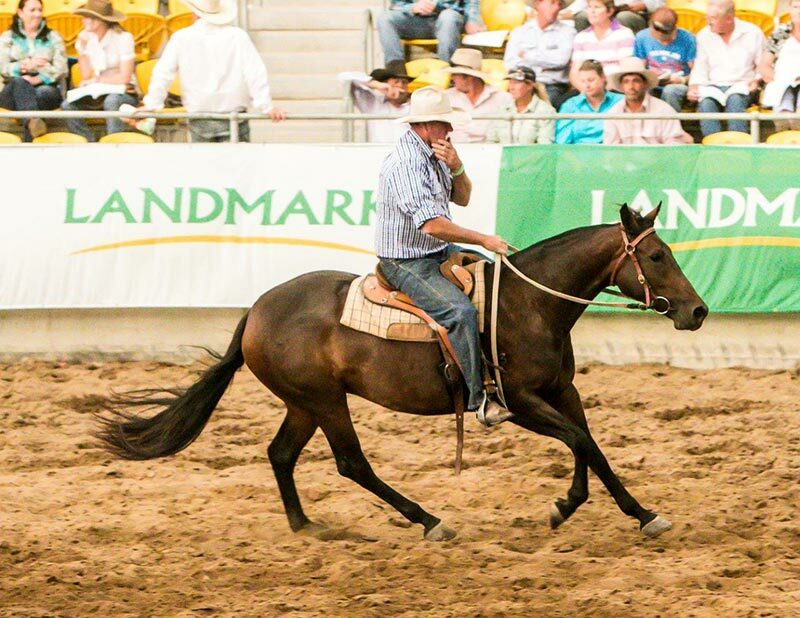 He is the sire of the top 2 leading money earners in the NCHA – One Hellofa Spin: $153,306 & One Moore Spin: $111,859. 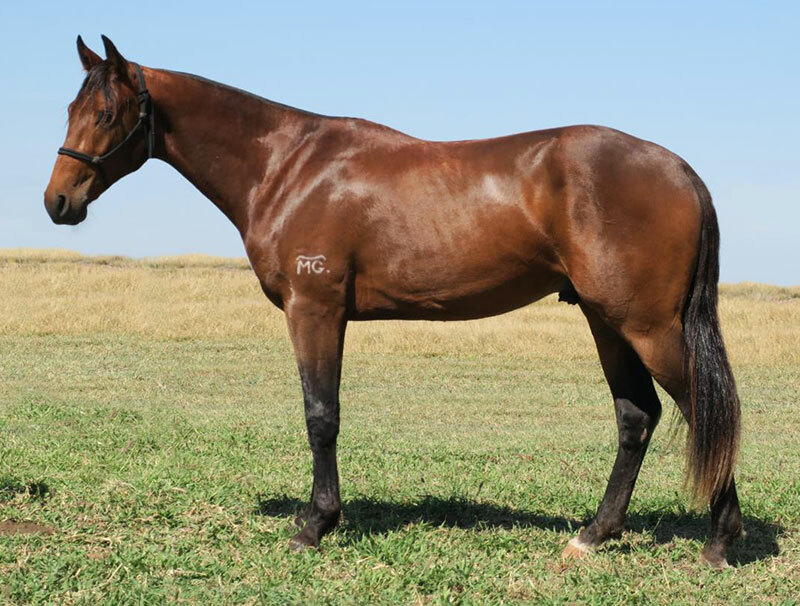 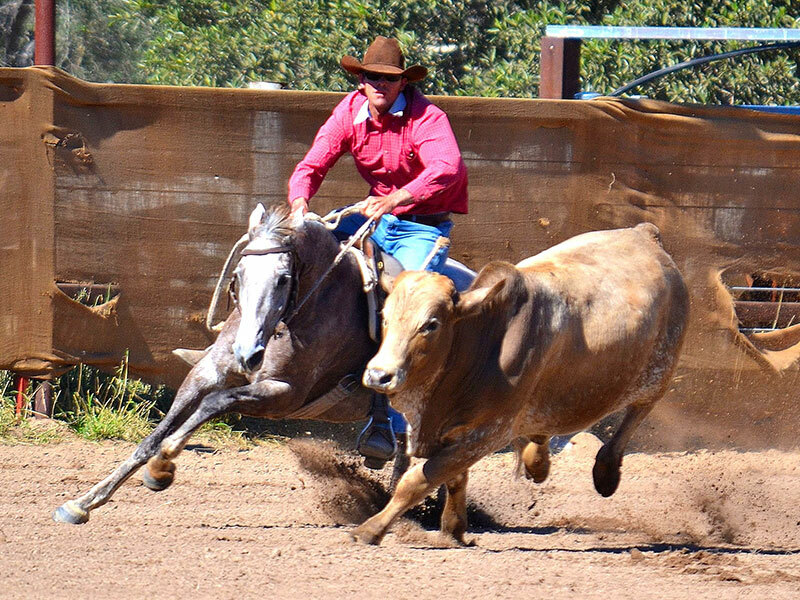 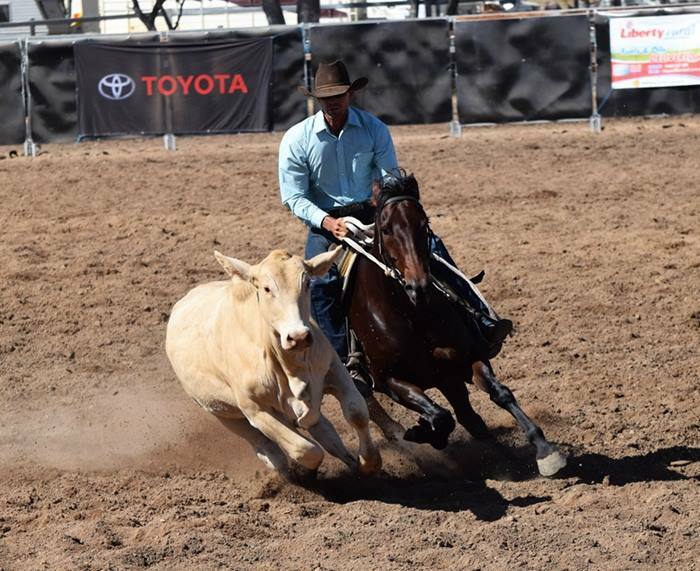 Doc’s Spinifex is also the sire of the famous campdraft mare Roanies Chex, winner of ACA Open Horse Titles, Paradise Lagoons Open, Chinchilla Grandfather Clock & Warwick Gold Cup campdrafts. 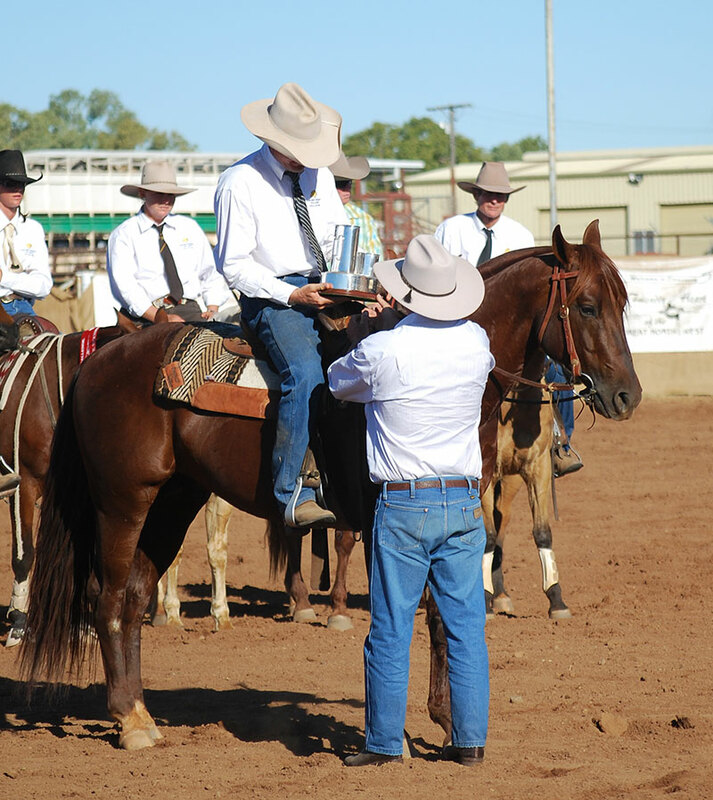 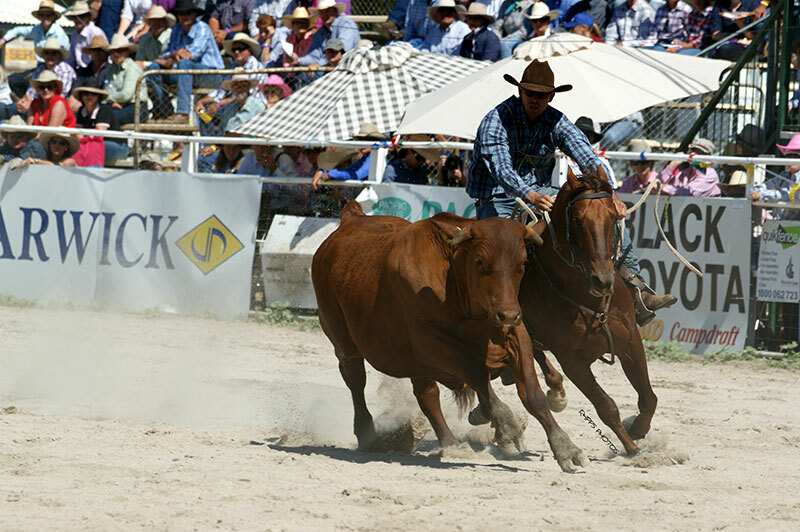 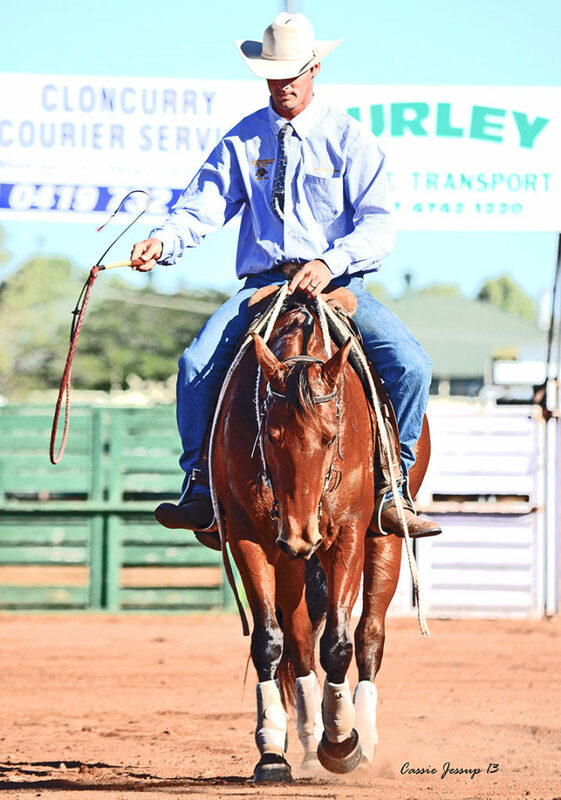 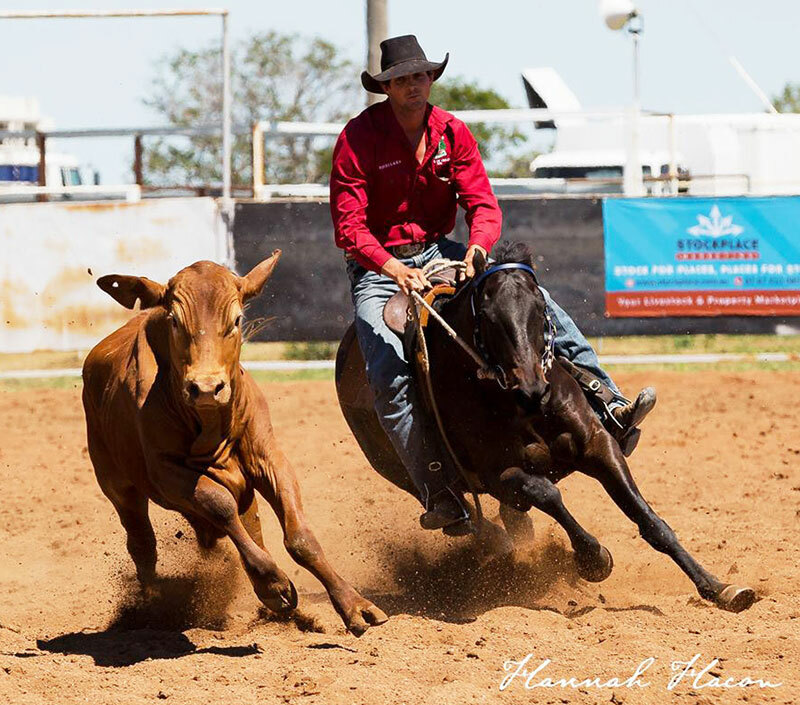 7 NCHA Futurities, 8 NCHA Derbies, 3 NCHA NP Futurities, 2 NCHA NP Derbies, 2 NCHA Classic Challenges, 1 NCHA NP Classic Challenge, Warwick Gold Cup & Cloncurry Stockman’s Challenge winners. 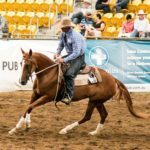 Information provided courtesy of the Australian Quarter Horse Association. 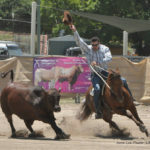 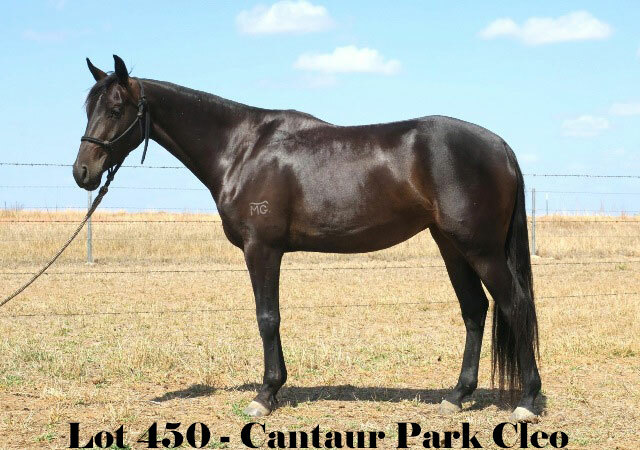 Visit Cantaur Park website to view excellent video footage of One Moore Daddy competing in different disciplines.